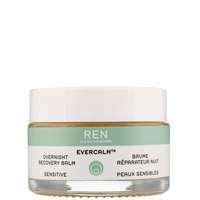 Home Brands REN Clean Skincare Face Vita Mineral Daily Supplement Moisturising Cream 50ml / 1.7 fl.oz. This multi-active day cream moisturises the skin and replenishes it with vital nutrients. Powerful antioxidants and vitamins further protect and revitalise the skin to keep it looking healthy, glowing and youthful. Rosehip Oil provides skin with a bountiful supply of Vitamin A whilst Cranberry Seed Oil offers Omega 3 and Vitamin E which work to protect the skin. 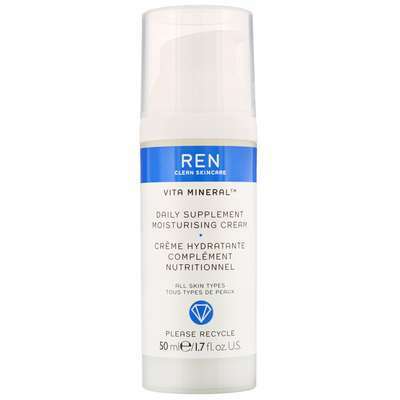 REN Clean Skincare Face Vita Mineral Daily Supplement Moisturising Cream 50ml / 1.7 fl.oz.